Your 13 must have travel apps! From sending postcard to sending a Whatsapp message, times really have changed. But maybe in some aspects it is a positive change. Owning a smartphone means access to millions of applications that can make our daily life, even while traveling, a whole lot easier. And while you should not be completely depending on your smartphone, there is nothing wrong with actually using one if you have it! 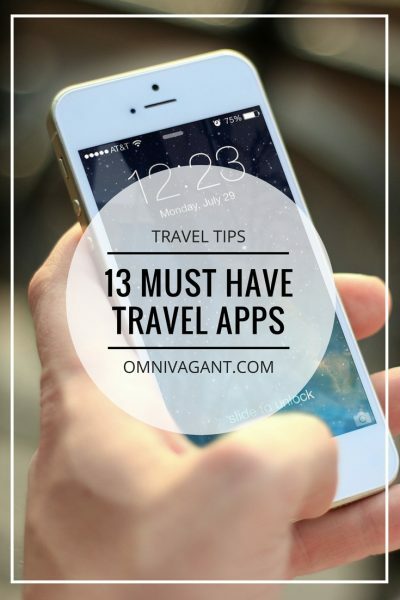 Here are my 13 must have travel apps for the frequent, or even not so frequent travelers. The basic apps are apps you most likely will already have on your phone, or have used in your daily life. From saving files in Dropbox to listening music in Spotify, these are the foundation of apps you must have as a traveler! Spotify – The time of MP3 players and iPods have seen to come to an end. Our phones have enough storage for this, and it means another device less you don’t have to carry with. Download music quick and easy whenever you are connected to wifi to have it all on your phone when offline! Perfect for those long and noisy bus rides. 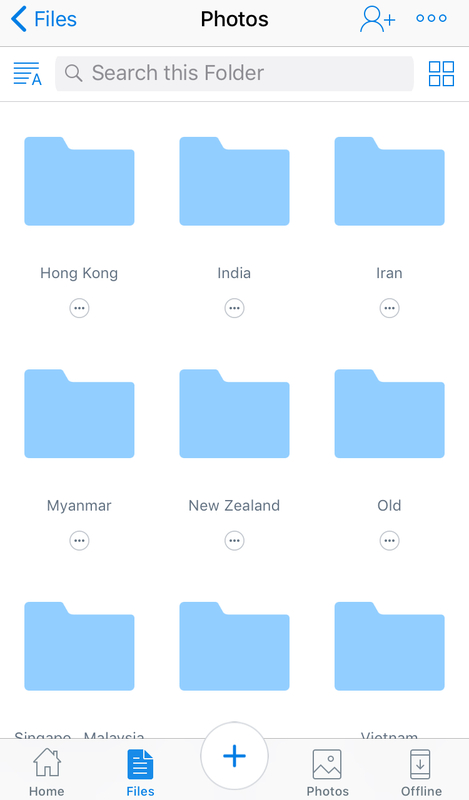 Dropbox – Save all your files in one easy and easily accessible app. Scan documents in with your computer and access them on your phone. 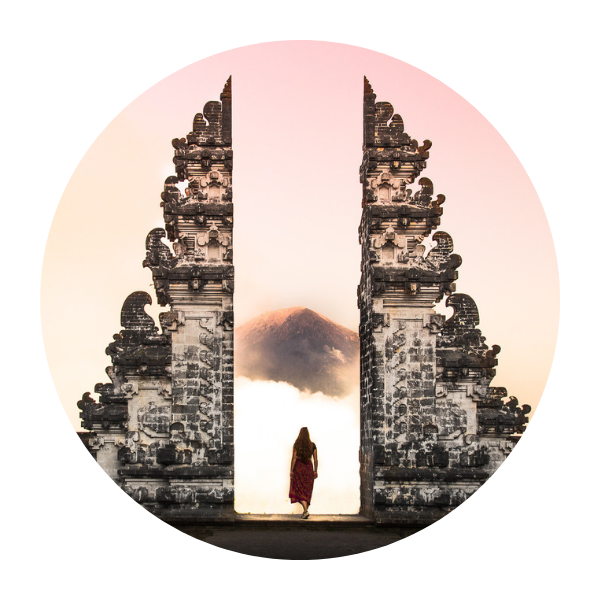 Easily save photos to your computer or have a backup ready of printed files such as copies of your passport, your travel insurance policy and scans off your vaccinations. Google Translate – Not sure this is an app that really needs an explanation. While a large proportion of this world speaks English, either fluent or basic, traveling rural areas will mostly mean non verbal communication. An app as Google Translate could help you out with the basics in case your lost for example! WhatsApp – A well known and easy to use app under travelers. Not everyone has an iPhone or Facebook nowadays, still want to stay in contact? Download WhatsApp! A free to use application, create groups of travel friends or tell your mom to download the app so you can easily stay in contact or send a picture! Keeping a budget is important while traveling, it means you’ll be able to stay longer on the road. However, with roughly 180 different currencies out there it can get quite confusing when you travel to multiple countries on one trip. 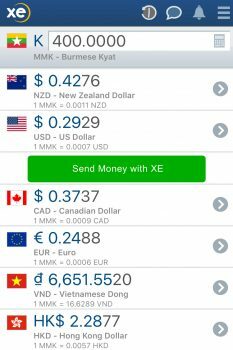 XE – XE is the perfect app to keep you up to date about the exchange rate and do your money conversions for you! 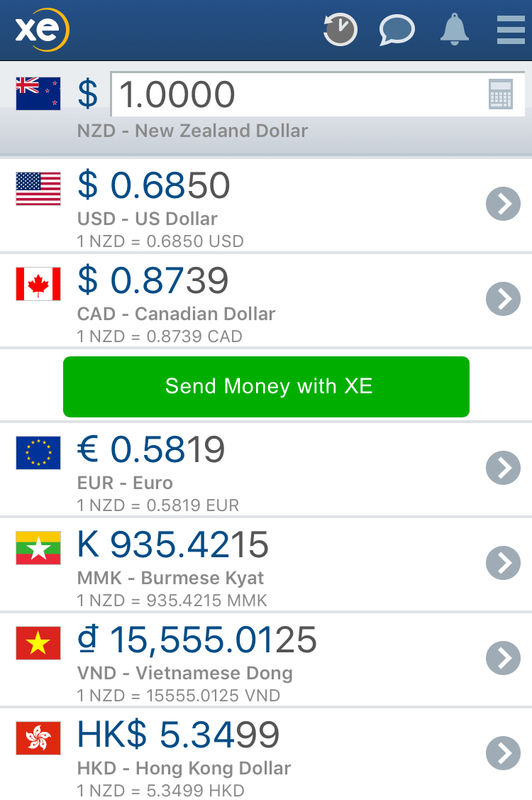 No need for those math skills anymore, just type in the local currency, set your home currency and XE will calculate it for you within a second! 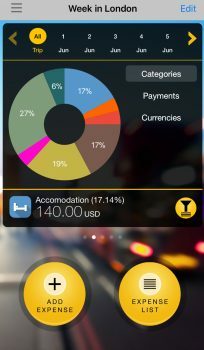 Tricount – If you travel with a friend or a group of friends this is an must have money app. No more fighting over split taxi costs, and who owes who 0,10 cents. Easily split costs between large group of friends, or just a simple transaction between two of the group. Update the app when you are back on wifi and everyone will know exactly how much money still needs to be paid! 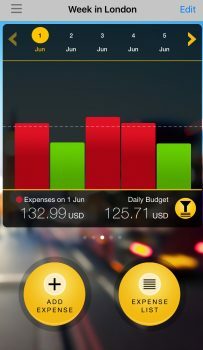 Travel Wallet – There are many apps to manage your budget on the road but Travel Wallet so far has been my favorite. It allows you to categorize your spendings, spread them over multiple days and shows you for which days you will be over or under. It is easy to use, works offline and you can manage multiple trips (countries) in the app! I personally don’t go without it anymore. Yes, you can often still buy a map of the city at the local tourist office, but the navigation on your phone is a whole lot faster. Tell your phone where and when you want to be there and it will calculate how long it will take you and which route to take, what else do you need? 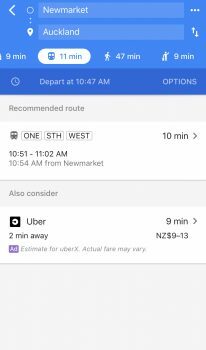 Maps.me – A personal favorite and number one recommendation when it comes to traveling. Maps.me is an offline application, simply download the map of a city, region or a whole country before going and all your data will be ready to go. Pinpoint frequent traveled places, such as your hostel, or plan out where you want to for the next day! The only downside, it doesn’t take construction on roads or traffic jams into account when calculating your fastest route. 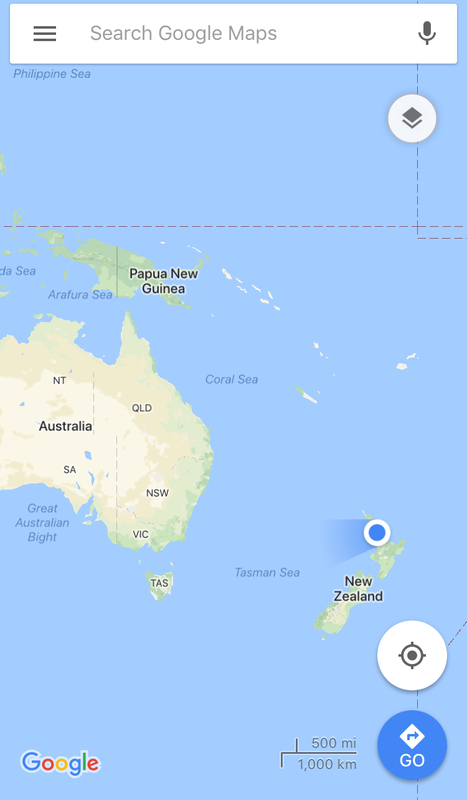 Google Maps – And where Maps.me lacks, Google Maps makes up for it. While also available offline, I personally prefer to use the online version of Google Maps, only possible if you buy a local sim card or can roam data from home cheaply. The feature I love the most is to look up which bus, metro or tram to take to get to my next stop! This makes traveling around a lot easier and faster. Uber and Grab – While you might use Uber at home, a big chance you had no idea it is available worldwide. 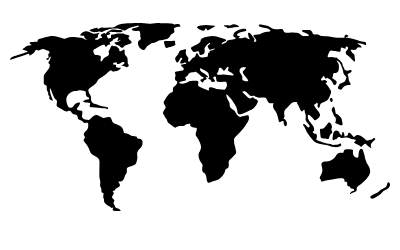 Uber actually operates in roughly 84 countries, so there is a possibility you can easily use it on your travels to! Should you travel to Southeast Asia I would highly like to recommend downloading Grab. It works roughly the same as Uber, only you will have to pay in cash instead, and is often cheaper than uber in the available countries! So now we have enough apps to get around town, listen to some music on the way, to manage our budget and to save our pictures to our computer easily! Now the only thing that is missing is a place to sleep. And while you can do this on your computer, we don’t always bring our laptops while traveling so some easy and quick use applications are welcome! Hostelworld – My favorite place to book hostels. Quick, easy, reliable. Read hundreds or thousands reviews about hostels, find them easily by destination and book them within a minute. I roughly book 95% of my accommodation with hostelworld, and will continue to do so in the future. Booking.com – If you are looking for hotels instead of hostels this is the app to use. While, personally, I would not use booking.com for hostels, there are hostels available on there. Besides that you will find hotels, guesthouses and even homestays. Larger selection than Hostelworld, and still quick and easy to use! AirBnB – I have only recently start using AirBnB but have only had good experiences so far! 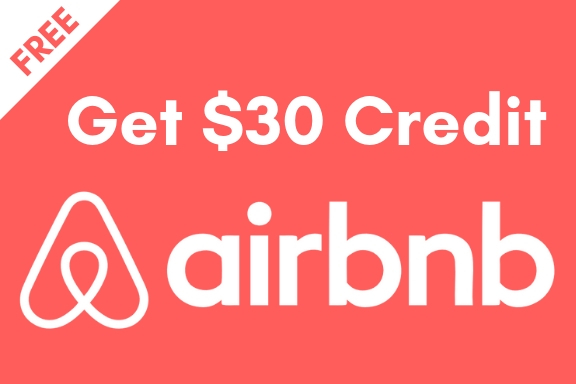 Rent a room, an apartment or even an entire villa, everything is available on AirBnB. I would especially recommend AirBnB for budget couple travelers. Me and my boyfriend have saved loads of money by using AirBnB in New Zealand, compared to booking a hotel room. And the best thing, if you sign up via this link you will receive a 40$ discount on your first booking! And there you have it, the 13 must have travel apps. From booking accommodation, to offline maps and music and saving your documents to your phone; nowadays everything is possible with a phone. Quick and easy, time and money saving, that is what us travelers are looking for. How about you, do you have any travel app recommendation we all should download? Tell me in the comments down below! Oh, and don’t forget to pin it! I’d add WikiVoyage as well for an offline travel guide! Thanks Colin! And that is such a smart idea, I never thought about actually downloading the WikiVoyage app! Great tips! My favorite offline map is Here we go. A life savior! Thanks Anna! I have never heard of that one, will definitely have to try it out! I have a list of must-have travel apps too! And it’s so different from this one! Of course there are some overlaps (Maps.Me is a blessing), but you have so many that I can’t wait to try out! Thanks Anya! Yes, we all have different recommendations, some tips are just life savors, aren’t they!